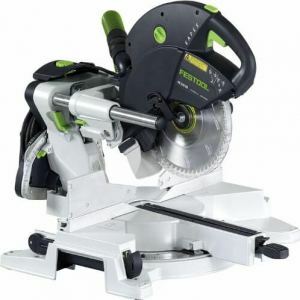 If you purchase a miter saw or you’re using it for the first time, it’s important that you set up it correctly so that it will work effectively and efficiently. 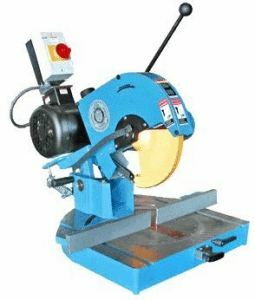 One important fact that you should bear in mind is that you will only get a precise 90-degree cut if you properly set up your miter saw for this specification. Different woodworkers have their own ways of setting up their saw to give them the precise cut, although many prefer placing a square between the fence and blade when setting up their saw. It’s also possible to check the set up of the miter saw by making a cut. 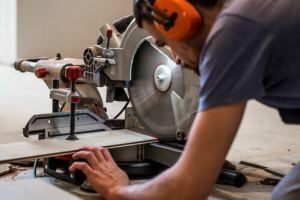 What these woodworkers want to know is how precise the miter saw is when cutting their timber, and they don’t necessarily care about whether the miter saw is set at 90-degrees or not when it’s sitting still. Here, we will align with the latter. Bring two boards with each having a perfect straight edge. Jointing the edge is the best means of ensuring this. For a better outcome, the board should be wide rather than narrow. The boards’ width should be close to the maximum width of the cutting capacity of your miter saw if you want a more accurate test. Ensure that the jointed edges are placed against the fence. Cut the boards. You can cut the two boards simultaneously. The best result will be achieved if the cut is set up in such a manner that the material is on both sides of the blade instead of skinning the end grain. The blade is much more likely to deflect away if you just skin the end grain and this can affect the cut you will make. On the contrary, there won’t be any deflection if the blade has the materials on its two sides. In this way, you will have a straight cut. The next thing that you should do is to check the cut you’ve made. Bring a flat surface and put the jointed edges on it and then place the cut ends against each other. Check if there are gaps. If the top of the cut show some gap, it is an indication that the miter saw does not cut at 90 degrees. The gap amplifies the error, as both boards are cut together. The gap’s size should be double the amount your saw is off. One good thing about this method is that it magnifies a little error, making it possible for you to really set up the accuracy with more precision. Bring the user manual of your miter saw and check the set up tips so that you can make the necessary adjustments. Make the same cut again after doing your adjustments. 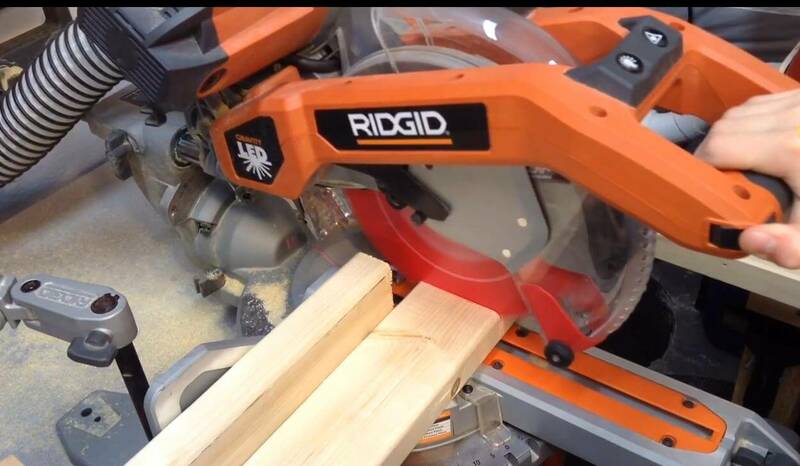 You have set up your miter saw properly when the cut edges touch evenly across the board’s width. 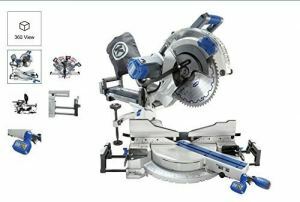 For compound miter saw, it is important that the saw makes a perfect 90 degree cut that is perpendicular to the table. If you are using a compound miter saw, you have to check the bevel as well. Get two boards, place the jointed edges on the table and cut them together. 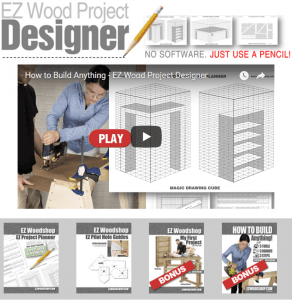 Just as mentioned above, the boards’ dimension should be close to your miter’s maximum cutting capacity. Check the ends of the cut as you did in the steps above and then make necessary adjustment to the bevel angle until it is accurate. This second method is similar to the first method except that you will require a square. Set the saw to 45- degree, place two jointed edges of two boards on the fence and cut them together. Keep the miter saw close and place the square in the interior corner. Check the square’s edges to see whether or not it maintains a full contact with the material. If it has full contact with the material, it is ok. If it leaves some gaps with the edge of the square, you are not ok. You have to put the angle of the cut right. Include a line-of-cut fence in order to make it easier for you to place the material on the saw accurately. This comprises a sacrificial fence that you normally fit to the fence of the miter saw. The saw fence has holes throughout it which you can use to screw in your sacrificial fence. There is a little gap under the fence provided by the ruler between the sacrificial fence and saw table. This gap creates a way for the sawdust to drop on the ground rather than building up at the corner. Cut through the fence after screwing it on. Take out a piece of test material. With the layout line close to the edge, mark your material. Place the line on the kerf you made on the fence. The kerf’s edge precisely shows the saw table’s cut. 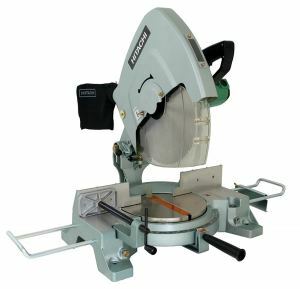 Either of these methods can come in handy to assist you in setting up your miter saw to deliver a perfect cut. If you use your saw often, you should do this regularly to ensure that you’re always getting the best cuts from this tool. It doesn’t matter which method you use, as long as you get the results you’re looking for to help you work properly with your miter saw!